← JESUS IS THE “MERCY SEAT”! 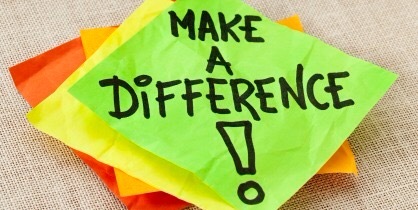 OBSERVATION: Can one person really make a difference? Have you ever asked yourself this question? In an election year one wonders – “What can one vote do?” As we look upon the problems that we face in our nation and in our world it seems like there is nothing that one person can do to really make a difference. Yet, the life of Adam and Jesus clearly proclaim that one life truly can make a difference. One life can change everything! When Adam and Eve sinned, at the moment of their disobedience, they did not realize the lasting impact of their choice and action. Yet, through this one act of disobedience sin entered God’s creation. Since that moment everything in life has been tainted by sin. Every person that is born is infected with this innate propensity to sin. One need not get into an intellectual debate about it. One needs only to observe their own life, and the life of others. Every child, every adult, male and female, manifests this innate propensity to sin in their daily actions and attitudes. All of this is the result of the action of “one person”! Jesus proclaims the truth that one person can make a positive difference – for all! Through Jesus’ obedience to God’s commands, and through His willingness to take upon Himself the penalty of death for the sin of all mankind, He has opened the door to a restored relationship with the Father – through the forgiveness of sins. His sacrificial and substitutionary death on the cross, and His victory over sin and death through His bodily resurrection, changed everything – for everyone! Now, simply through believing in Jesus Christ, every person has the opportunity to break the cycle and penalty of sin in their life. Jesus single life, death, and resurrection, has extended God’s forgiveness to all who will believe, who will call upon His name. How does this apply to me personally? I wasn’t there when Adam sinned. I cannot add anything to Jesus’ completed work on the cross. These two men changed everything for everyone, but what can I do? In today’s world of mass media and instant fame, the single unnoticed life is often forgotten, but it is this very life that still changes the course of history. Behind every great man and woman that has influenced and changed the world, there is one single person that was instrumental in influencing their life toward the direction and pathway that led to their impact on so many. Most people know about Billy Graham, but few know about a Sunday School teacher named Edward Kimball. Edward Kimball reached out to young boys in order to teach them the Gospel of Jesus Christ. One young boy he led to faith in Jesus Christ was Dwight Lyman Moody. D.L. Moody became a great preacher and the father of the modern Sunday School movement. Through his ministry Wilbur Chapman came to the Lord and began to preach the Gospel. Through Chapman’s ministry Billy Sunday, the great preacher, came to the Lord. 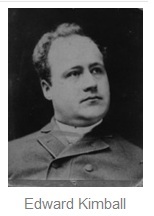 Through Billy Sunday’s ministry a man named Mordecai Ham came to the Lord and became a traveling preacher. And through Mordecai Ham, a young man in Charlotte, North Carolina came to faith in Christ at one of his meetings. 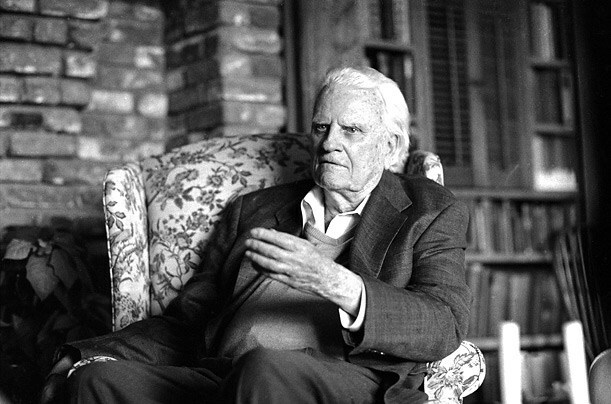 That man was Billy Graham, who has literally preached to millions and has seen thousands upon thousands come to faith I Jesus Christ. It all started with “one person”, one man without notoriety, one man simply living his life obediently for Jesus Christ! Lord, help me to be that “one man” who lives obediently to your call. Help me to touch the lives that you bring into my life with the love of God. Help me to share the Gospel of Jesus Christ both with my words, but most importantly with my life. Let my “one life” truly make a difference!